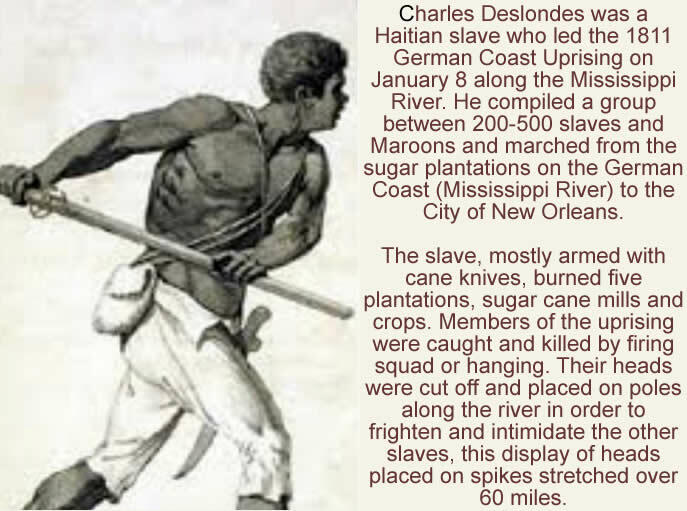 Charles Deslondes was a Haitian slave who led the 1811 German Coast Uprising on January 8 along the Mississippi River. He compiled a group between 200-500 slaves and Maroons and marched from the sugar plantations on the German Coast (Mississippi River) to the City of New Orleans. The slave, mostly armed with cane knives, burned five plantations, sugar cane mills and crops. 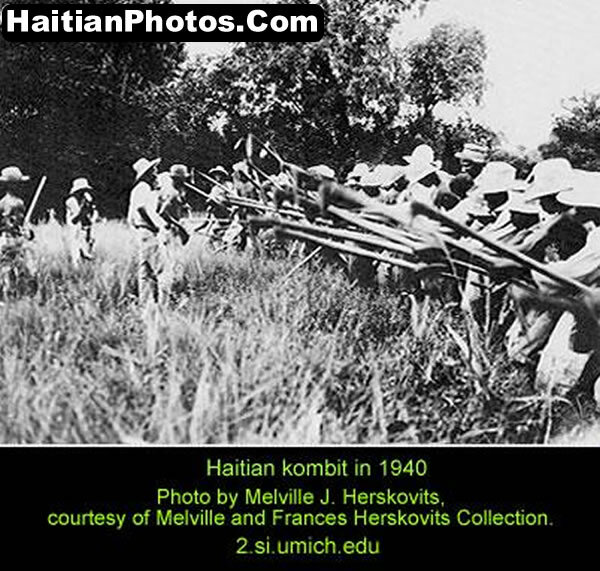 Members of the uprising were caught and killed by firing squad or hanging. Their heads were cut off and placed on poles along the river in order to frighten and intimidate the other slaves, this display of heads placed on spikes stretched over 60 miles. 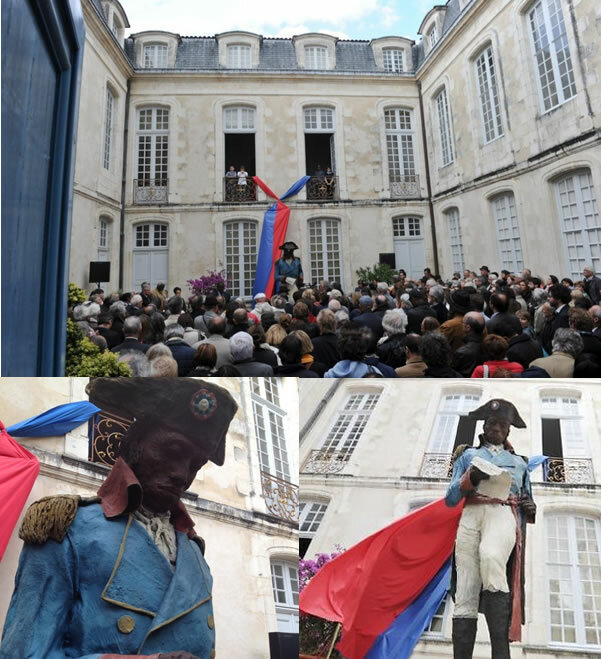 Charles Deslondes was born as a slave in Saint-Domingue, present-day Haiti; he was the son of an enslaved woman and a French planter. Deslondes was one of the slaves who led the 1811 German Coast uprising, a revolt of black slaves in parts of the Territory of Orleans on January 8-10, 1811. It was the largest slave uprising in U.S history that killed only two white men. The rebellion began on a cold, rainy night on January 8, 1811, on or near the plantation of Colonel Manuel André, 36 miles northwest of New Orleans near present-day Norco. The insurgent slaves of Andre, between 64 and 125 from sugar plantation, surrounded his house on the night of January 8; they broke in, assaulted and wounded Colonel André, murdered his son Gilbert (a member of plant militia), and then fled downriver in the direction of New Orleans. The rebels, led by Deslondes, proceeded south, torching and looting adjacent plantations and adding about five hundred recruits to their ranks. They rallied to fight and die for freedom. Andre, however, managed to escape across the Mississippi and began to round up a posse of nearby planters. The 1811 German Coast uprising began on the land known as early Louisiana's German Coast (named for immigrants in the 1720s, located above New Orleans on the Mississippi River) where the Germans became independent land-owners. Maroons were the African slaves who escaped from slavery in the Americas and mixed with the indigenous peoples of the Americas and formed independent settlements. 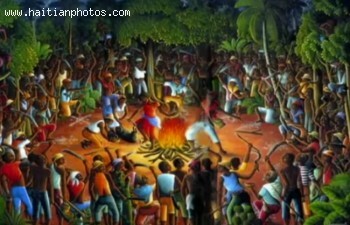 During the uprising, the slaves armed with cane knives burned five plantations, sugarcane mills, and crops. The revolt was well planned-- a fundamental challenge to the system of plantation slavery. The rebels were dressed in military uniforms and chanting "On to New Orleans, they rallied with an attempt to conquer the city, kill all its white inhabitants, and establish a black republic on the shores of the Mississippi. Very soon they met the twin forces of the American military and a hastily assembled planter militia. The slaves' ammunition did not last long, and the battle was brief. Soon the slave defense was broken and plant militia began their slaughter. Immediately about 40 to 45 slaves were killed, 14 slaves were executed and over the following weeks, an additional 44 slaves were killed. 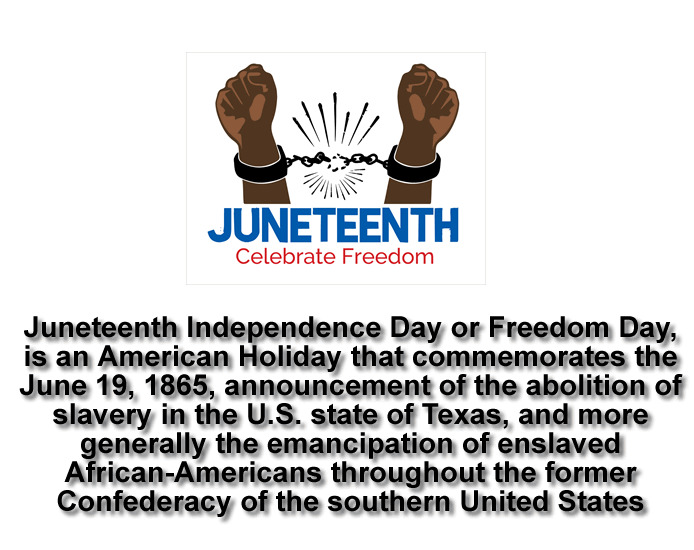 Juneteenth is an American holiday that commemorates June 19, 1865, announcement of the abolition of slavery in the U.S. It is called Independence Day or Freedom Day. 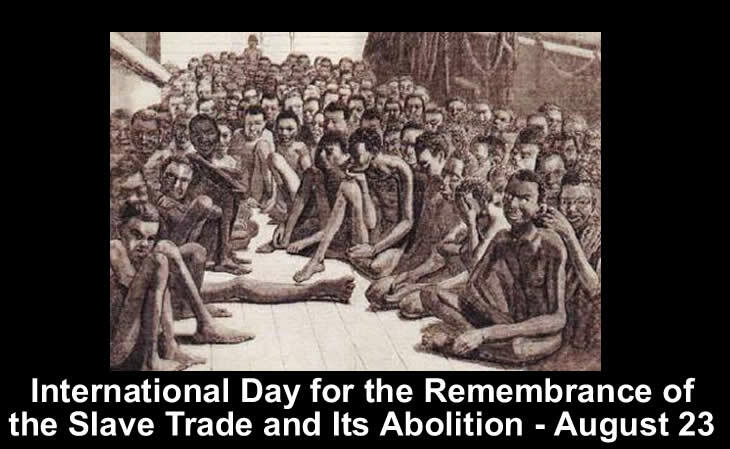 This was the day recognized as the emancipation of enslaved African-Americans throughout the former Confederacy of the southern United States. President Abraham Lincoln issued the Emancipation Proclamation on September 22, 1862, during the American Civil War, declaring that all enslaved people in the Confederate States of America in rebellion and not in Union hands were to be freed. The States that were not part of this agreement included: Kentucky, Maryland, Delaware, Missouri, West Virginia, the state of Tennessee, lower Louisiana, and Southeast Virginia. 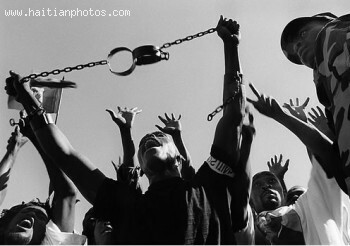 The newly free slaves soon learned that their fight for freedom did not end with the Emancipation Proclamation. In the early 20th century, economic and political power led to a decline in Juneteenth. Later, between 1890 and 1908, all former Confederate states passed new constitutions or amendments that effectively disenfranchised black people and excluded them from the political process. It was during this period that the White-dominated state legislatures passed Jim Crow laws imposing second-class status. Then came the Great Depression that made many black people to leave the farms and to look toward the major cities in search of work. The Second Great Migration of Black Americans started during World War II, when many black people migrated to the West Coast where there were many job openings in the defense industry. 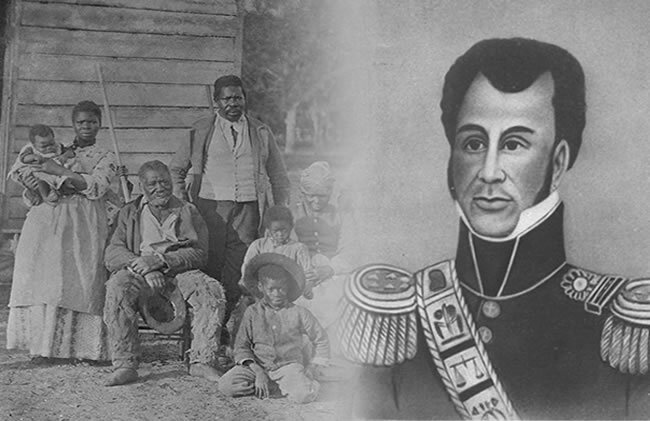 During the 1820s, six thousand black Americans were taken to Haiti as part of a migration scheme in which President Jean-Pierre Boyer had a heavy hand. 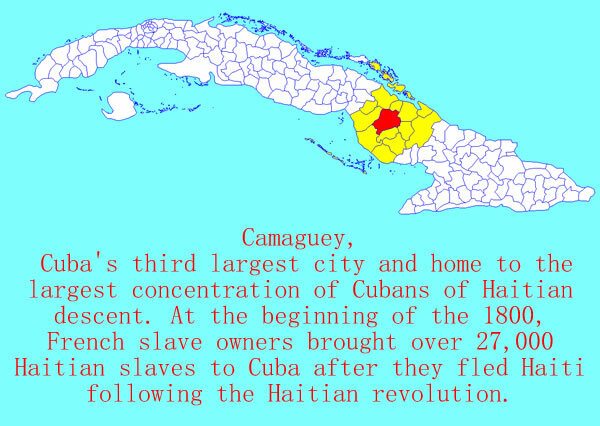 It followed Haiti's establishment as a free black state and was an open invitation for black Americans to find freedom from slavery in Haiti. Many think the plan failed, but for different reasons, one was that thousands returned to the U.S., and the other was because the expectations of the prospect weren't considered met.